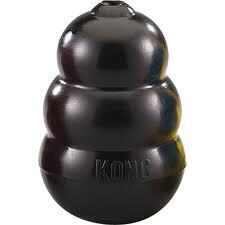 KONG Extreme the most durable version of our original KONG toy. The ultra-strong, ultra-durable, black rubber compound is recommended for the most powerful chewers. Help to reduce boredom and separation anxiety for powerful chewers.